By using the website, you agree to be bound by these terms and conditions. Please read them carefully. 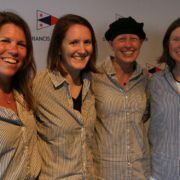 The website is owned and operated by the St. Francis Sailing Foundation. Certain graphics, logos, page headers, button icons, scripts, and service names are trademarks, service marks, or trade dress of our company or our affiliated companies. Our trademarks and trade dress may not be used for any commercial or other purposes without our prior written consent. 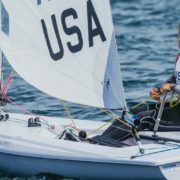 All other trademarks and service marks not owned by the St. Francis Sailing Foundation that appear on the website are the property of their respective owners and may or may not be used without their prior written consent. Visitors may submit suggestions, ideas, or questions, via this form. The St. Francis Sailing Foundation has the right to change this policy at its sole discretion at any time.